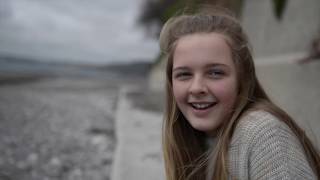 A2 Media Studies Coursework (AQA MEST 4). 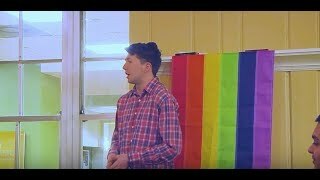 Audio - Robins Island Music Group, "Your Eyes Say Goodbye"
Oxygen | An LGBT Short Film An LGBT-themed short film written and directed by me! 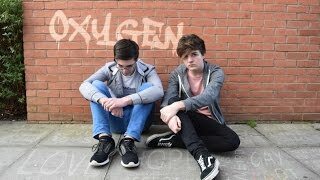 Oxygen is a student short film featuring young upcoming actors from Stratford-upon-Avon College! Made of Sugar A Nostalgic Portrait of a Cuban-American family's evolving cultural heritage. 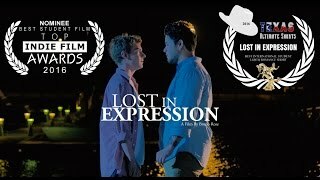 Lost In Expression - An LGBT Short Film Struggling with his boyfriend’s infidelity, a stoic fraternity brother must confront repressed feelings on the night of his fraternity's party. This film was part of my Honors thesis that sought to portray minority characters, such as gay characters, in a non-stereotypical way. Tell. E what you think and leave comments below!! 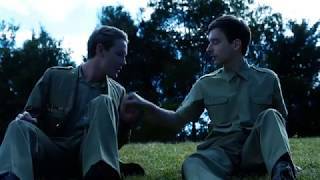 Lover In Arms (LGBT Student Film) The grandchildren of a World War II soldier go up to his attic during his Wake to retrieve his old wedding vows for their grandmother only to unravel a whole secret, forbidden love affair the grandfather had been involved with in his youth during the war.